This AWSOME fan video by tigerboyPT aka Pedro Calvo, is of the end song (so spoilers if you haven't played the game) "Want You Gone". This song is just as iconic as the original games end credit song "Still Alive", and this video is a nice tribute. This fan did an amazing job at animating GLaDOS but also included little "cartoons" in the style of the training videos that Valve used in their marketing up until release of the game. Portal 2 Is a very good game and I recommend playing it, especially if you enjoyed Portal. 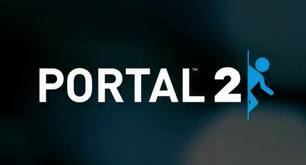 Here is hoping for Portal 3, and another fun iconic song, in our near future! Be sure to check out Pedro's youtube channel.